New Zealand businesses are enjoying a greater sense of economic confidence, and the national construction is the most optimistic industry in the country. 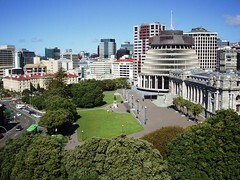 On February 29th the National Bank released its quarterly Business Outlook survey report, saying that 28 percent of New Zealand businesses, compared to 19 percent in the December quarter of 2011, are expecting the economic conditions in the country to improve even more in the nearest future. Approximately 31 percent of all businesses participating in the survey expected to see an increase in their own business activities over the coming year, compared to approximately 26 percent in the December quarter of 2011. Nearly 8 percent of businesses intend to hire more staff in 2012, up 3 percent from indicators published three months ago. Throughout the next three years the government of New Zealand will concentrate on four economic priorities aimed at ensuring that the country experiences strong economic growth and the national budget returns to a surplus in the 2014 – 2015 fiscal year. On February 23rd the Minister of Finance of New Zealand Bill English gave a speech at the Auckland Chamber of Commerce, outlining the government’s intended economic policies for the next three years, and explained that the government currently has a comprehensive plan to build a more competitive economy with a greater level of international exports. Tax revenues in New Zealand have dropped below the government’s expectations, but the decrease has been offset by a number of economic policies aimed reducing government spending. 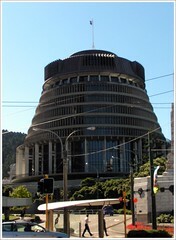 On February 20st the Treasury of New Zealand released the latest Financial Statements of the Government of New Zealand, showing that tax revenues collected in the country dropped below forecast over the six months ending 31st December 2011. According to the Treasury, the cumulative tax revenue for the time period was 1.4 percent below the forecasts released in the 2011 Pre-election Economic and Fiscal Update (PREFU), and totaled nearly NZD 26.4 billion. 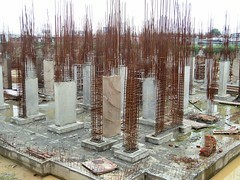 However, the revenues were also approximately 2.9 percent higher than in the same period in 2010. New Zealand’s GDP could be calculated to be as much as 10 percent higher than it currently is, if valuations methods were in sync with those used in Australia. In a speech given at the Trans Tasman Business Circle on February 17th the Governor of the Reserve Bank of New Zealand Alan Bollard said that the New Zealand GDP per capita could be much higher if it was calculated using a different methodologies and took into account more aspects of the economy.